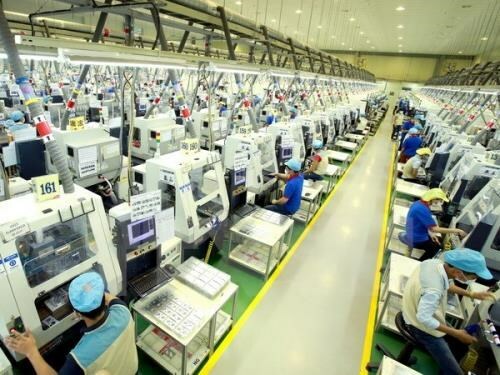 Hanoi (VNA) – Do Nhat Hoang, head of the Foreign Investment Agency under the Ministry of Planning and Investment, has underlined the need for Vietnam to further improve its investment environment in order to attract more Japanese businesses. Speaking at the second mid-term review of the sixth phase of the Japan-Vietnam Joint Initiative in Hanoi on August 2, Hoang said investment and trade ties between the two countries have developed practically, adding that Japanese investors have shown higher confidence in the Vietnamese investment climate. The official noted that Vietnam and Japan inked cooperation agreements worth up to 22 billion USD during Prime Minister Nguyen Xuan Phuc’s visit to Japan last June. Nagai Katsuro from the Japanese Embassy in Vietnam highlighted close cooperation between the two countries over the past time. He said Japan wishes to work with Vietnam to address issues regarding Vietnam’s investment climate, which, he said, is expected to be improved through the Joint Initiative. During the meeting, the two sides agreed to put forth measures and process of identifying the minimum wage. Apart from labour and salary matters, they also focused on logistics and transportation services, support to small and medium-sized enterprises and regulations imposed on foreign investors as prescribed in the Investment Law, the Enterprise Law, the Land Law and other laws related to investment and business.